I'll get my graph up in a bit. 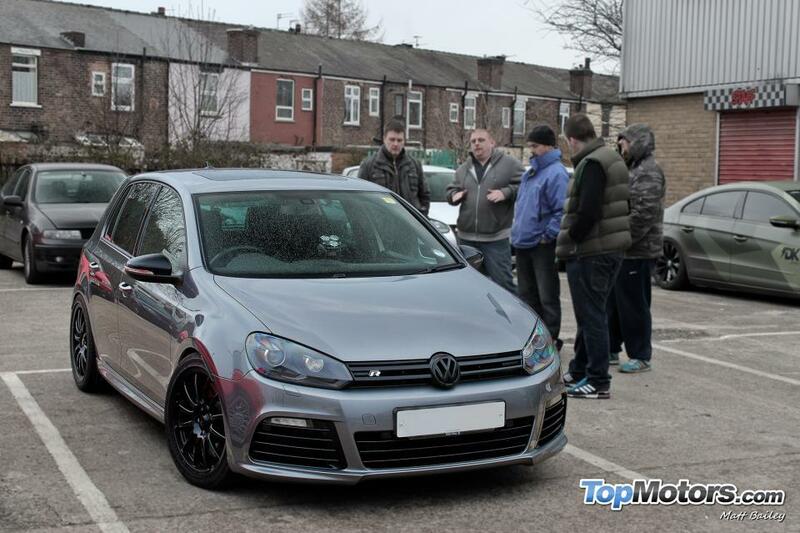 Prediction was 360bhp and it did 361bhp/400lbft on the day, so target achieved. Jim said it probably dropped around 15bhp due to the prop losses. Great to meet everyone and my R is now having a well deserved rest after the launches and marathon runs up and down the country. How many sets of tyres have you done now Hurdy? None. Don't use up tyres if you don't have wheelspin. Definitely an old pic.. Looks like this now. Well, here is my graph. Dunno why the power dropped off on the high boost run, definitely doesn't feel like it drops off on the road and was still making power at 7krpms at R-Tech. Maybe it is because shoot out mode at JKM uses look up tables an R-Techs measures the actual losses on each run. Anyway the main thing for me was that it was a great day with a good turn out and I think as many people had as much fun in my R as they did watching their cars run! Still won't hit the 300bhp, but issue is running on the stock OEM Intercooler. As soon as it hit 298 at 6k, power appeared to die away, which doesn't do it on the road. 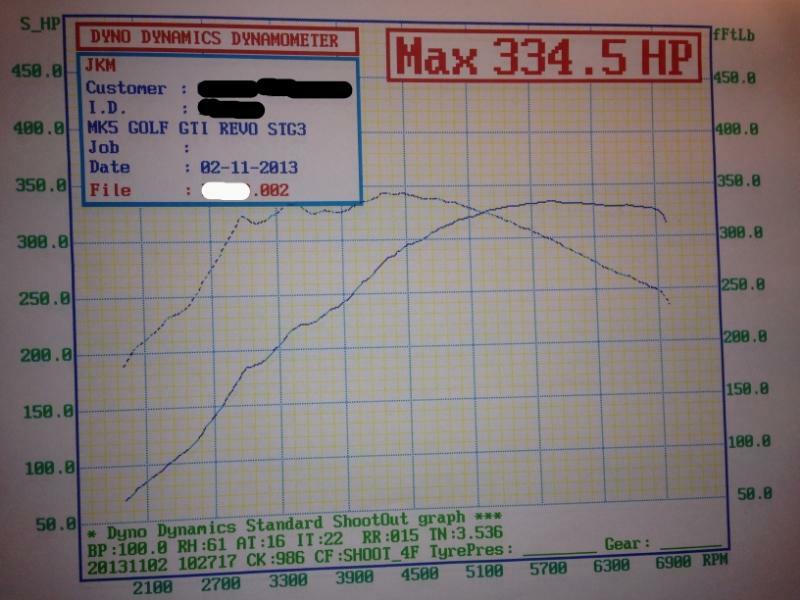 So my Engine was getting too hot on the Dyno and pulling everything back looking at the curve would of been heading towards 315-320bhp. K04 power doesn't tail off like that, so I'm not worried about the end result as she's fine on the road. 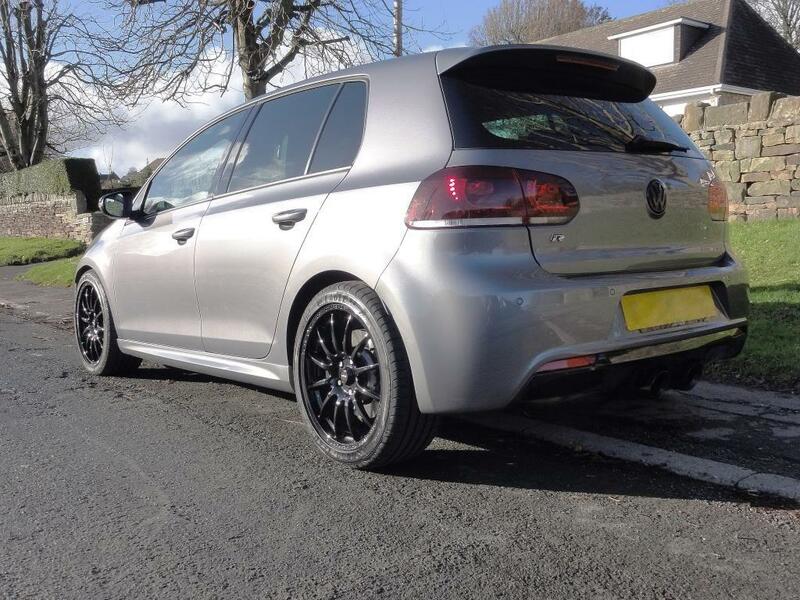 Very good day out, topped off with a shall we say memorable trip out in Johns Loba Golf R, which in launch mode, had me struggling to keep blood in my brain!! 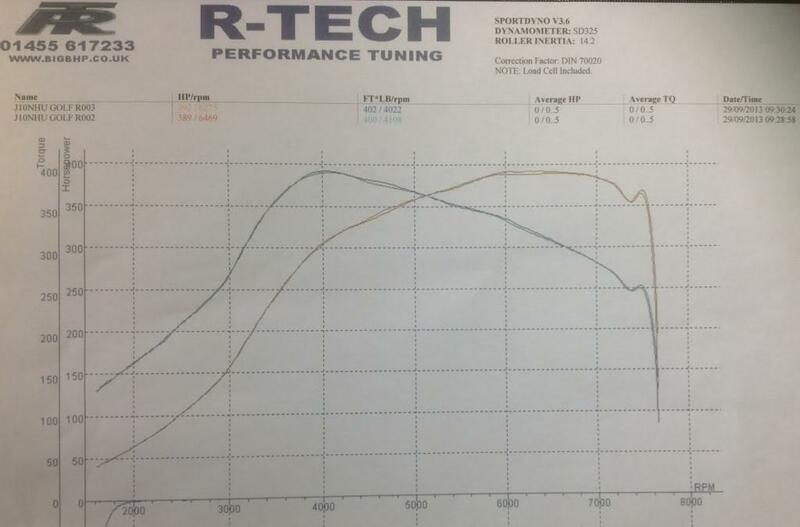 Whether this is right or not, my car has been set up on a different dyno, with a different and more powerful cooling method that is done at RTech,which I think my OEM cooler with a stronger or more natural airflow would allow power to develop.My ECU started to pull things back as what the graph shows. 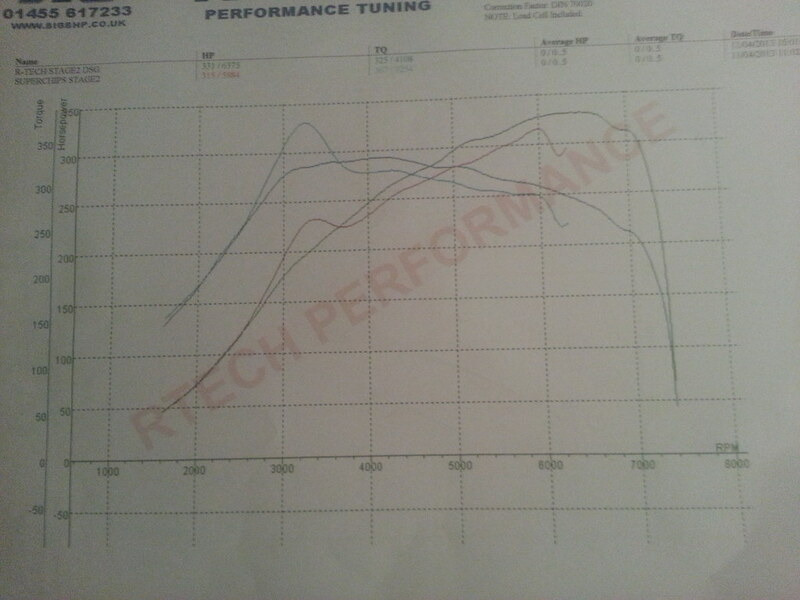 What seems to happen, as what did with Hurdys car, and another RTECH tuned Audi S3 was all our cars power started to drop off quite a lot ,johns car didn't sound right on the dyno.I'm pretty sure Statlers cooling fan is more powerful. 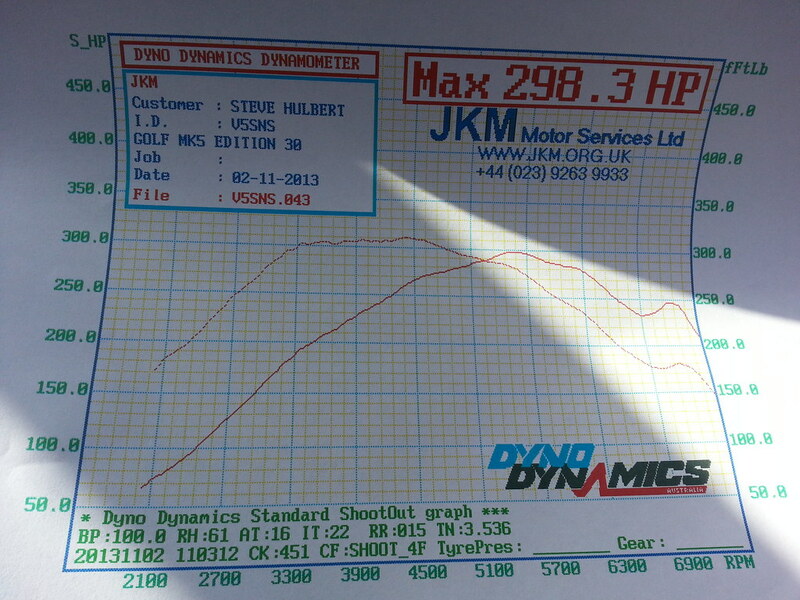 All the JKM cars that were tuned were all set up on that dyno, so maps tuned tuned to that air volume and flow. Basically , to compensate if I run at JKM, I need a larger Intercooler. But on the road, I'm definitely not suffering with any issues. I have checked the car with VCDS this morning, and no error codes logged at all. 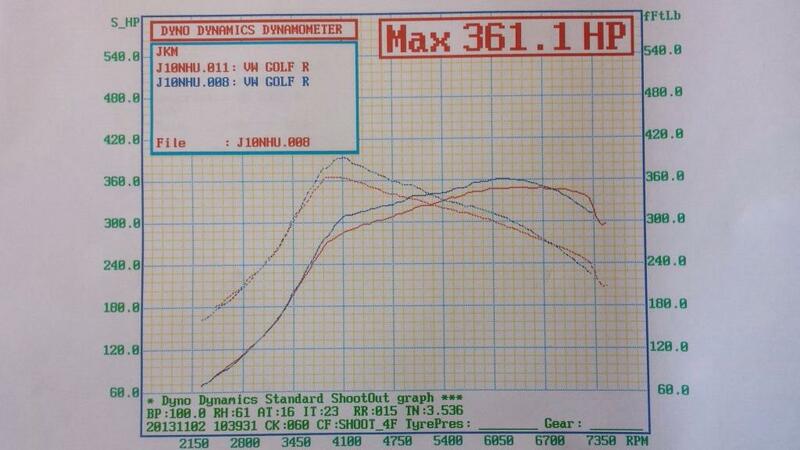 Well that's my theory, I'm sure that ECU's will dictate what the mass air flow readings are, this power will increase or decrease if the volume isn't there.So it points to my OEM intercooler needs changing, which to be fair, niki gower did point out the condition of it prior to remapping my motor. Mind adding you setup to your post so we can see what we are looking at ?